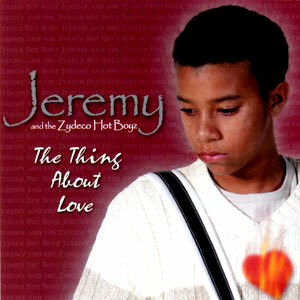 A native of Eunice, Louisiana, Jeremy’s love for Zydeco was first noticed at the tender age of three. While visiting his great uncle, the late John Delafose, he always headed straight for the music room where he and his cousin, Gerard Delafose, experimented with various instruments. 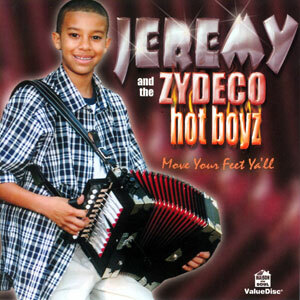 Several years later, at the age of thirteen, Jeremy began making appearances with various zydeco musicians, including his cousin, Geno Delafose, at Geno’s Fan Appreciation Party in Duralde, Louisiana. Shortly afterwards, Jeremy and the Band began appearing all over Southwest Louisiana with other musicians, including JoJo Reed, Willis Prudhomme, and Leo Thomas, at various Southwest Louisiana venues, such as the Assumption Catholic Church Hall in Basile, Louisiana, the LSU-Eunice Community Day, the Eunice Folklife Festival, the 2001 Contraband Days Festival in Lake Charles, Louisiana and the 2001 Festival Internationale in Lafayette, Louisiana.